Google’s new phones are officially here and the Google Pixel XL is the bigger one between the two. For those who are not familiar with this phone, it’s the first phone that directly comes from Google. The company has no plans for new Nexus phones for now which means the Pixel phones are the only Google phones we will get for now. To learn more about this smartphone including the Google Pixel XL Dubai price and specs, keep reading. 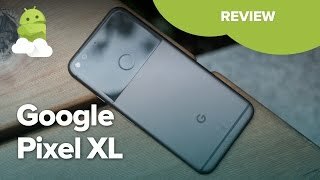 As mentioned earlier, the Google Pixel XL is big in size and features a 5.5-inch display showing 2560b x 1440 pixels resolution and 534ppi of pixel density. It’s bigger in size and offers higher resolution as well compared to the Google Pixel. While the two-tone design which features a mix of metal and glass looks unique, there are better looking phones in the market. It’s 8.5mm thin and weighs about 168g. However if you are after bigger phones without waiting for the Google Pixel XL release date UAE, there is the Google Nexus 6P and LG V10 available at the moment. While most of the latest phones are packing the Qualcomm Snapdragon 821 at the moment including the LG G5 and HTC 10 which are almost in the same pricing range as the Google Pixel XL Dubai price, things are different with the Pixel XL. It’s packing the latest Qualcomm Snapdragon 821 paired with 4GB of RAM. There are two different storage options to choose from: 32GB and 128GB but there is no microSD card slot. The fingerprint scanner is placed on the back and the phone is powered by a 3450mAh non-removable battery. It’s slightly bigger than the battery in the Google Pixel. 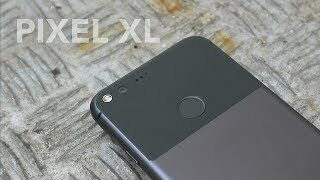 There are three different colors to look out for after the Google Pixel XL release date UAE: Quite Silver, Very Black and the limited edition Really Blue. 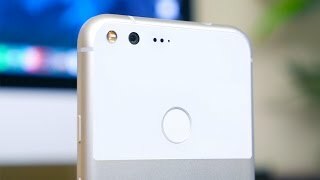 One of the best features of the Google Pixel XL is its rear camera which has received the highest rating so far from DxOMark Mobile score: 89. It doesn’t include Optical Image Stabilization but includes EIS to help you get excellent pictures even in low light. This rear camera supports capturing 4K videos and comes with dual-LED flash. The front camera is also a decent 8-mgeapixel one. 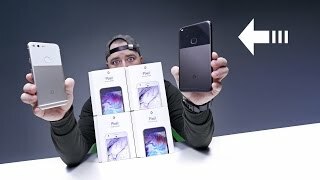 For those who are willing to check out some of the other smartphone cameras available in the market instead of waiting for the Google Pixel XL release date UAE, there is the Samsung Galaxy S7 Edge and iPhone 7 Plus. Unlike the Nexus phones, the Google Pixel XL is quite expensive. The starting price of this phone will be around AED 2800 when it’s here. It will be available in the market sometimes after 20 October, 2016. Google is all set to unveil not one but two new phones in an upcoming event. However, if you are expecting to see a new Nexus phone you might be disappointed as Google is dropping the Nexus title and going for a new series titled as Pixel. As mentioned earlier, there will be two new Pixel phones and one of them is the Google Pixel XL. Nothing has been officially revealed yet including the Google Pixel XL Dubai price. However it’s expected to be around 2200 to AED 2600 . For those who are eager to learn about the Google Pixel XL release date UAE and specs, keep reading. 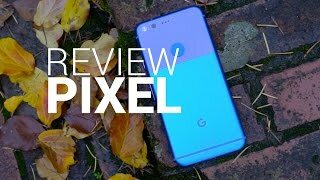 One of the major differences between the two Pixel phones is the display. The Google Pixel XL features a bigger 5.5-inch screen showing 2560 x 1440 pixels resolution like the name suggests. The front side of the phone looks quite plain but the two tone design on the back with a mix of glass and metal frame makes the phone look slightly different. However, the images are not looking great so it might be a good idea to wait for its official announcement for now. There are rumors about the phone not including a home button but the leaked images blurred that part so it’s still a mystery. For those who are looking for phones with big screens, there is the Motorola Moto X Style and Samsung Galaxy S7 Edge which are available almost in the same pricing range as the Google Pixel XL Dubai price. There is no surprise here. Most of the high end phones comes packed with the Qualcomm Snapdragon 820 which is the latest available from Qualcomm. The Google Pixel XL will also pack the same processor paired with 4GB of RAM. As usual the Google branded phone will pack the latest operating system: Android OS 7.1 Nougat. Thanks to the whopping 4GB of RAM, multitasking should be a breeze. There will be three different storage options to choose from: 32GB, 64GB and 128GB. There will be some cool new features as well like the AI helper but everything is just based on rumors for now. If high end phone is not something you are after and you don’t want to wait for the Google Pixel XL release date UAE, there is the Asus Zenfone 3 and Xiaomi Redmi Note 3 Pro you can check out. Most of the latest flagship phones with great cameras switched to 12-megapixel camera from 16-megapixel like the Samsung Galaxy S7 so it might not be a good idea to judge a camera with megapixels. The rear camera of this phone will be a 12-megapixel one with Sony IMX378 lens while the front one will be an 8-megapixel camera with Sony IMX179 lens. For those who are looking for a phone with a camera that includes a great zooming feature, there is the new iPhone 7 Plus. It’s also in the same pricing range as the Google Pixel XL Dubai price. 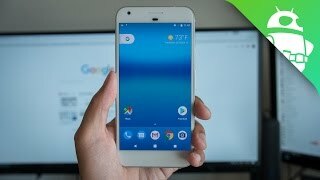 The Google Pixel XL should be available sometimes in October after the 4 October event.